There will be a battle for the head of the Pennsylvania Democratic Party next week. Steve Esack of the Morning Call is reporting that former DEP Secretary and gubernatorial candidate Katie McGinty will challenge current party chairman Jim Burn. Not only that, apparently McGinty is being backed by Democratic nominee for Governor Tom Wolf. Escak reports that McGinty spokesman Mike Mikus confirmed Wolf asked McGinty to run for party leader and she agreed. The Wolf campaign sent out an email to committee members advocating for Katie McGinty as Chair and State Rep. Jake Wheatley as Vice Chair. Of current State Chairman Burn, Wolf subtly notes in the beginning of his email that Governors traditionally get to build their own “team”, though he did give him a few words of praise. Additionally, McGinty sent out her own email. The Democratic State Committee meeting is being held on June 20 and 21 at the Radisson Hotel in Camp Hill. McGinty was notably the only candidate to not attack Wolf during the waning days of the primary. Apparently that strategy paid off. They also briefly served in the Rendell cabinet together when Wolf was Secretary of the Department of Revenue. McGinty=LOSER.her left wing friends would take our Party over a cliff. Before the election Wolf should not dictate, poor judgment and arrogance are not the same as leadship. 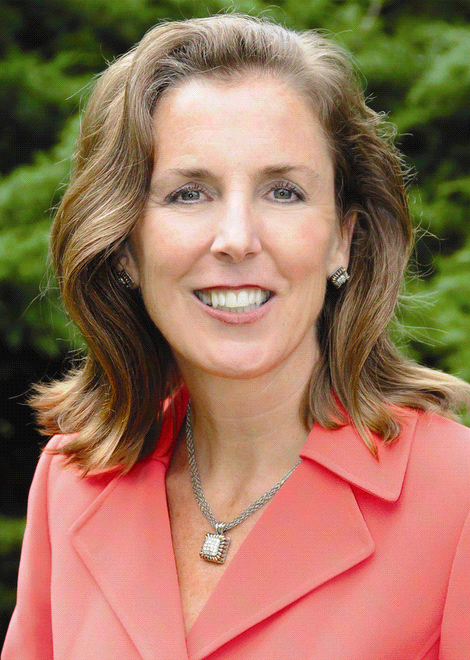 McGinty turns off most voters. June, apparently you are one of the “experts”. I was simply being honest about my involvement. You were apparently a Wolf supporter. But do you think it is wise for T. J. Rooney (do you know of him) to come back? Since you were for Wolf, apparently there was some deficiency in McGinty in your mind? What has been your role and involvement in politics? Actually Hanger moved the Party in many ways in a positive direction. McCord added invaluable dialogue and information on a number of topics. I would not disparage them so lightly. Your views are highly myopic and confrontational, and shed little light or honest information on the topic at hand. “We still matter. We still vote. We will still pick a winner.” According to Ron after saying he supported Hanger then McCord. How did those work for you Ron? One guy didn’t stay on the ballot, and the other guy finished 3rd in the primary. You really picked a winner there huh? Maybe you don’t matter that much and are not good at picking a winner. Hanger endorsed Wolf. Did you tell Hanger he shouldn’t endorse Wolf because you and almost half the state committee members wanted McCord? Wolf got almost 60% of the Democratic primary vote and won by 40%, and he wants McGinty, like it or not. I think he knows a little more about Democratic voters than the person who picked the guy who finished in 3rd place and lost by 40%. If Burn wants any future in the Democratic party, he will drop out and support his party’s nominee for Governor. That’s what will happen. As many have previously said, Wolf was foolish for letting someone get him involved in internecine warfare—initiated by the LOSER McGinty and her associates. Likely, but not necessarily, commenters on these pages have no idea about what they are speaking. They simply may have a favorite or were set up by someone with a favorite. I have NO dog in this fight except the best interests of the Dem Party. Wolf won—we should have a victory party in Camp Hill—even though I was for Hanger, then McCord. Unfortunately, T.J. Rooney and McGinty seem to want to spoil the party/Party? Drop out—McGinty and Rooney! We have no time for your self-indulgent DRAMA, if we want to unite and be effective. And, the Party committee does matter, otherwise, why do all the candidates come asking for our votes, host free food and drink, etc. We still matter. We still vote. We will still pick a winner—Jim Burn. Jim Burn earned my respect over the last 4 years—and I am a pretty hard customer to deal with on the issues I hold dear. To all the OneTermTom Corbett trollin out of touch with reality lovers: ( actually I only saw 2 so far ) Don’t get your hopes up !! As a dem family we may go round and round on this thread for days !! But in the end we all agree on one thing YOU GOTS TO GOOOOOOOO. Jim Burn has been a competent and professional chair. He was Onorato’s pick. Now the new nominee wants a new team. I am inclined to say yes. No “Network” in Pittsburgh? Tell the Post-Gazette. And tell Jim Burn who is aligned with them even though they’re now big supporters of Tom Corbett. A lot of classy people on here. First and foremost, the state committee is elected to SUPPORT Democratic candidates and elected officials. Jim Burn and his supporters might think he’s more important that the candidates and elected officials but he’s not. Jim Burn likes to take credit for 2012 but there’s one major problem – OFA did the work, not the party led by Jim Burn. OFA registered voters. OFA organized precincts. OFA ran the GOTV. So, Jim Burn likes to go on Hardball. It’s fun. That is no reason to support him. I respect the fact that people may think he is a better choice for chair but the fact is that the last two gubernatorial candidates disagree. Tom Wolf won handily in 67 counties. People throwing out Ed Rendell and TJ Rooney are trying to distract from the main issue and that is that TOM WOLF asked Katie McGinty to run. Rendell and Rooney have nothing to do with it. For the record, I am a fan of neither. As for those “Democrats” attacking Wolf because you disagree with his choice, shame on you. Publically attacking the Democratic nominee is a clear sign that you do not belong on state committee. Shame on all of you! If you disagree, fine, but always keep it in the family. Stay classy people! Burn will withdraw from the race next week, before the embarrassment of running for Democratic Party Chair against the wishes of the Democratic nominee for Governor. Even if Burn is elected, he will not be a surrogate speaker for the Democratic nominee for Governor, the Democratic nominee for Governor will not raise $ for the state party, and the Democratic Party Chair will not have access to a Democratic Governor. If Burn still is Democratic Party Chair against the wishes of the Governor, he will be just the head of an organization that can’t raise money and is full of people who think they are very important, but are not important at all. How important are Democratic state committee members and how well do they know Democratic voters in their area? Not at all. Rob McCord was supported by almost 50% of state committee members. How well did he do among Democratic primary election voters? McCord, a 2-time statewide elected official who spent almost $10 million on his campaign and was the overwhelming choice of Democratic state committee members, came in 3rd place and got less than 17% of the vote. Rob McCord and Allyson Schwartz had the support of about 65% of state committee members. With that type of support from the powerful Democratic state committee members, how well did McCord and Schwartz do among Democratic primary voters? McCord and Schwartz combined for just 35% of the Democratic primary election vote. Tom Wolf and Katie McGinty were the candidates who combined for 65% of the vote in the Democratic primary. More than half the Democratic county chairs supported Rob McCord, and very few supported Tom Wolf. That tremendous support must have won many counties for Rob McCord, so how many counties did McCord win on primary election day? Rob McCord won 0 counties, and Tom Wolf won all 67 counties. So who knows more about Democratic voters, Tom Wolf or most of the Democratic state committee members who supported candidates losing by more than 40% on primary election day? We have an excellent chairman in Jim Burn. I recall McGinty getting only 26 votes or so for endorsement from the 250 state committee people. I don’t see why we’d look to her, or, is it her “advisors,” for leadership when our vote of confidence for her was not present previously and the public vote on election day was disastrous. We know Jim Burn and like him and his style. Returning to the days of T.J. Rooney is simply going back to an old regime with a new face. Tom Wolf should have stayed out of the internal work done at state committee by very hard-working, dedicated members. The upcoming Camp Hill meeting should have been a routine celebration of victory because we finally chose Wolf after a long process. Rather than unity and celebration, McGinty or someone has now injected unneeded DRAMA into the Camp Hill meeting. As suggested before, McGinty can certainly find work somewhere. She is definitely not ready for prime time nor the major leagues! It is obvious that Tom Wolf is beginning former opponents on board his campaign. Firsr Alyson, solicited funds on Tom’s behalf. and now Katie running for State Chair. Practical — hang it up. There is no “the network.” Jim Burn was NOT forced to step down in his home county. Every person I spoke with in Allegheny County says he was a good County Chair and they liked him just fine. Seems like a small minority of troublemakers creating this rift. And to Guest — you can go “chit” yourself. As an elected State Committee person I don’t appreciate being called a mutant; my DNA is just fine thank you. FYI, the person who is elected State Chair handles a lot more than State Committee; that shows how little you know. I really thought Wolf was going to be different but I guess I thought wrong. So I’ll shout it out loud and proud — I AM VOTING FOR JIM BURN. My how the worm has turned. It will be real interesting watching this circus Fri. night at state committee. It will be worth the price of admission just to watch certain people squirm. McGinty obviously did not motivate voters, women or otherwise. She is not a polished public speaker—she’s more like a kindergarten teacher I once had—admonishing the class with flailing arms, high-pitched voice at inappropriate parts of her delivery and other strange mannerisms as she speaks. The worse thing about this situation is it brings back the days of T.J. Rooney’s autocratic style of gavel-you-down politics if you disagree with the chair. Finally, this internal warfare raises the question of Tom Wolf’s claims to being a different kind of politician. Sounds like he is not so different after all. This fight is NOT what the Democratic Party needed. Wolf’s first big blunder and a display of poor judgement by Wolf, IMO. Women and Men. Last thing we need is her buddy Gore here in PA. Very disappointed on the very poor judgment shown by Wolf. She is at best a minor league player.